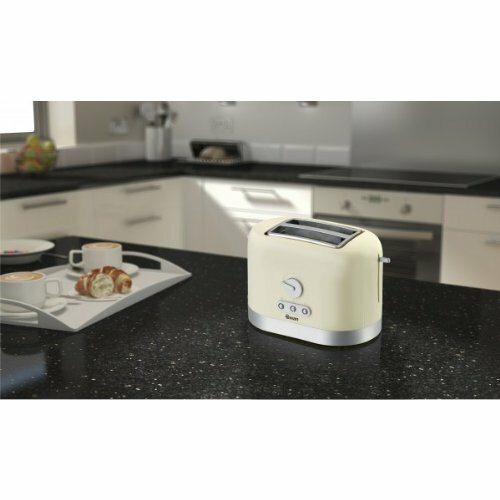 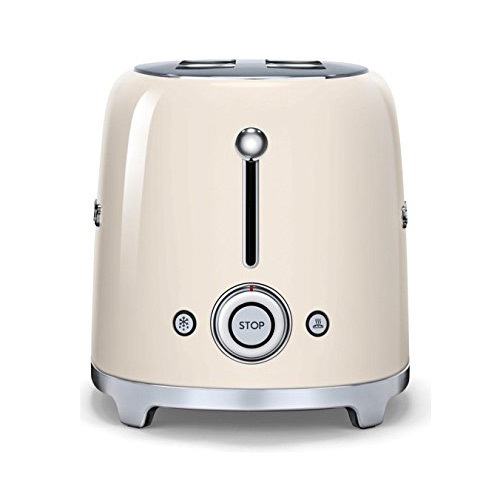 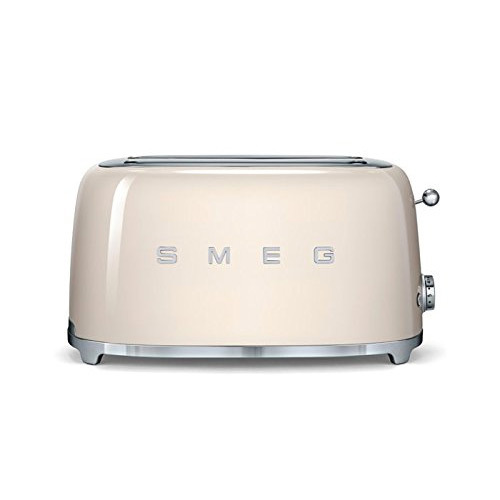 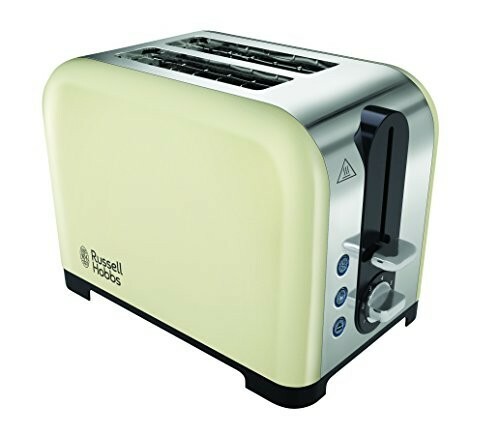 Here at My Kitchen Accessories we have a number of high quality cream toasters to choose from, find a cream coloured toaster from a wide range of the best kitchen appliance brands in the United Kingdom. 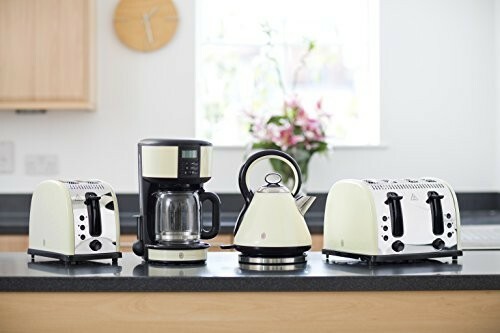 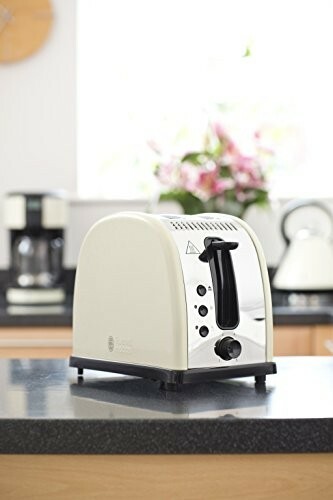 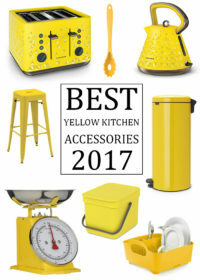 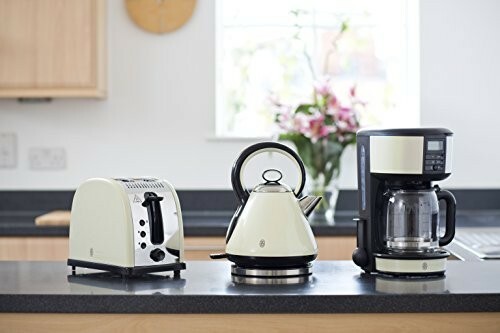 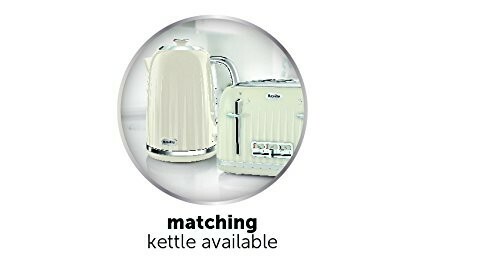 With such a stylish selection you can find the perfect cream toaster for your kitchen whether you are looking for a cheap 2 slice toaster ideal for a couple or small family or if you are after a well built 4 slice cream toaster that will last you for many years. 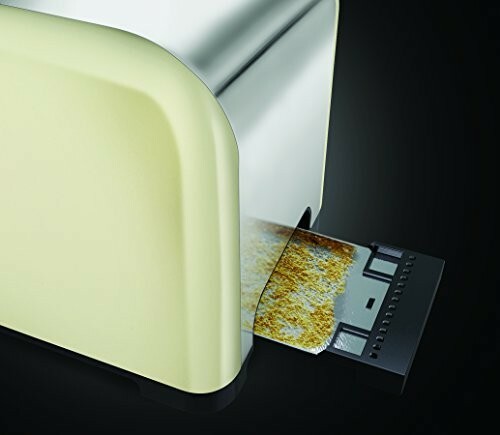 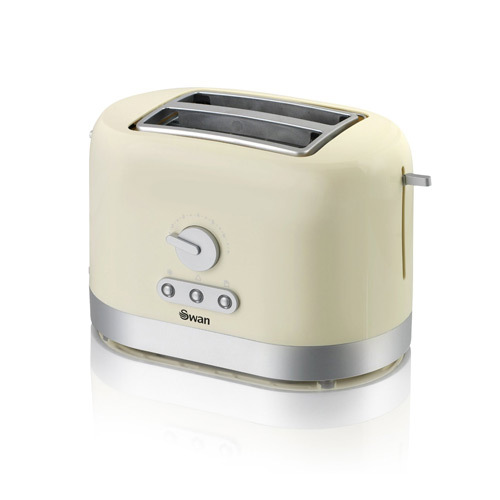 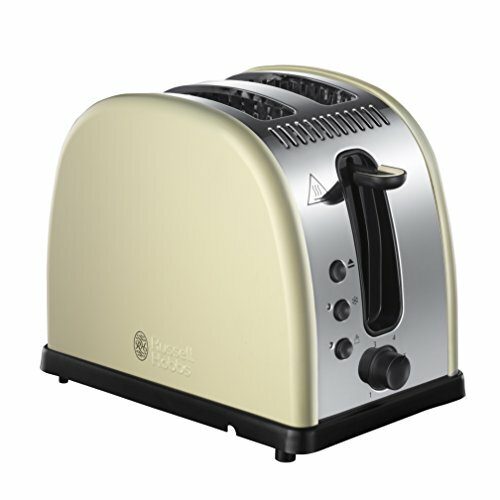 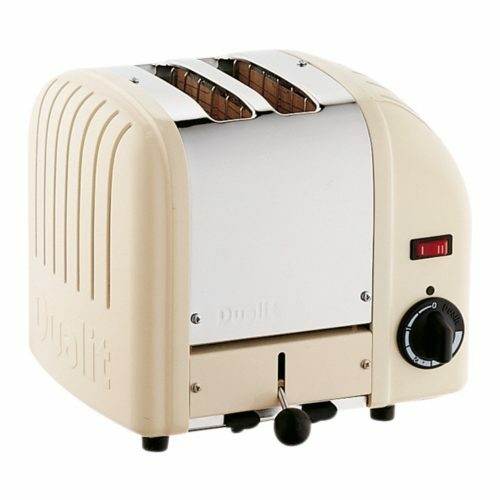 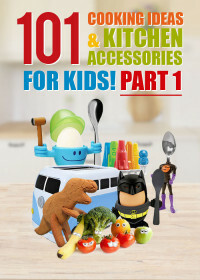 With so many stylish cream toasters available to buy in the UK we have had no problem listed some of the best on offer. 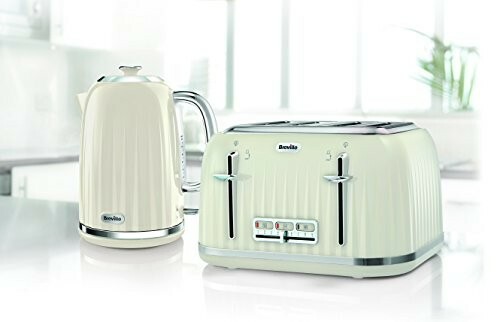 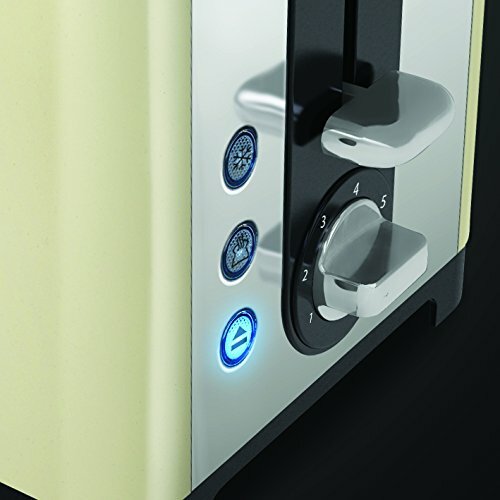 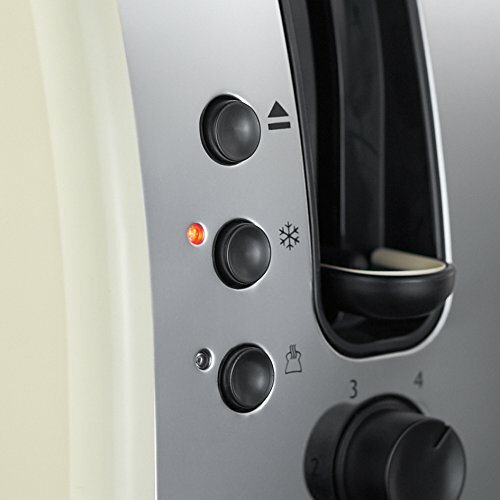 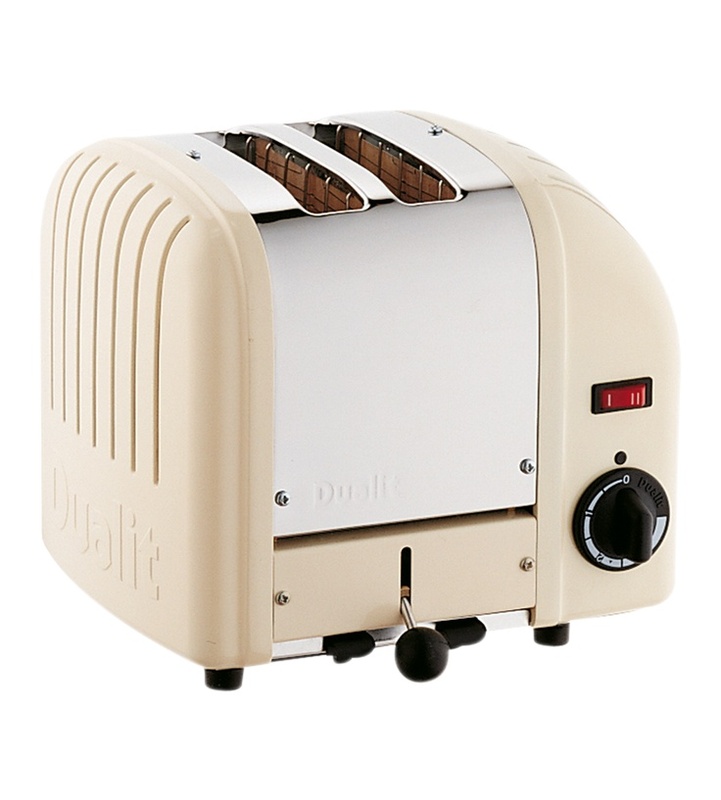 The cream toasters from Dualit, Delonghi and Breville are some really stunning examples of well designed and good looking cream toasters and all come highly recommended by ourselves and by those who have bought them leaving very high ratings and great feedback in their reviews. 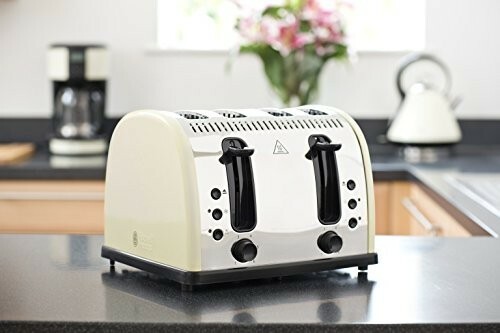 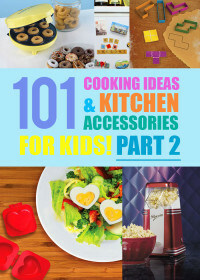 Many of the cream coloured toasters below come packed with features that will make preparing breakfast each morning a breeze, no matter how many people you need to make toast for. 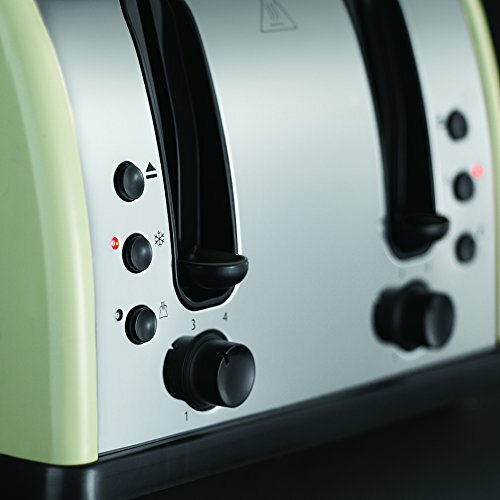 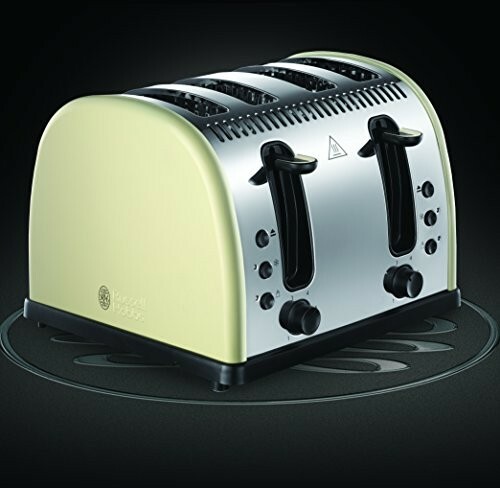 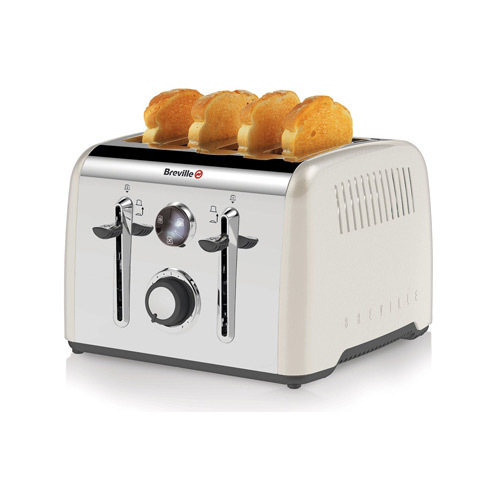 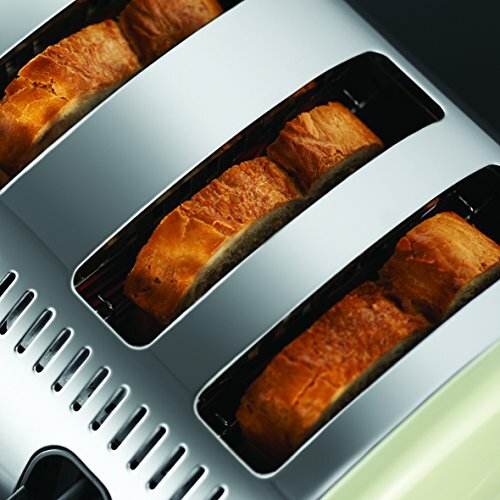 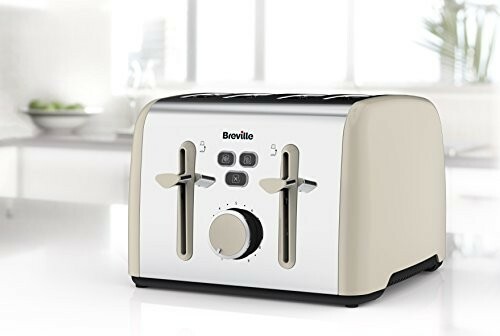 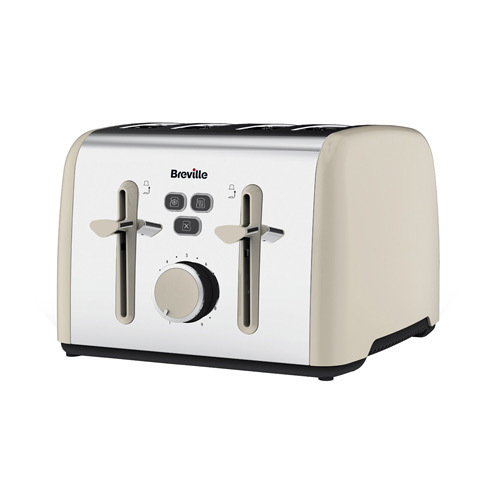 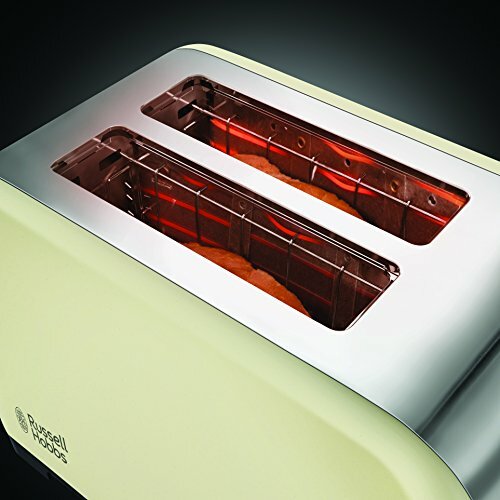 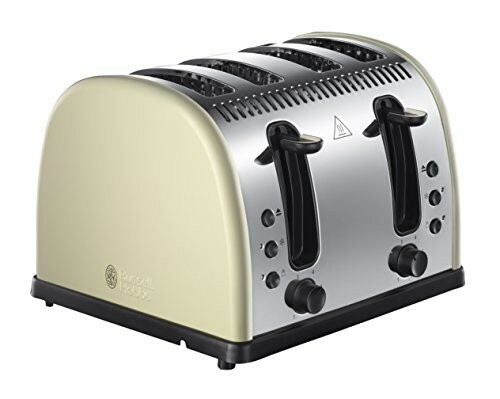 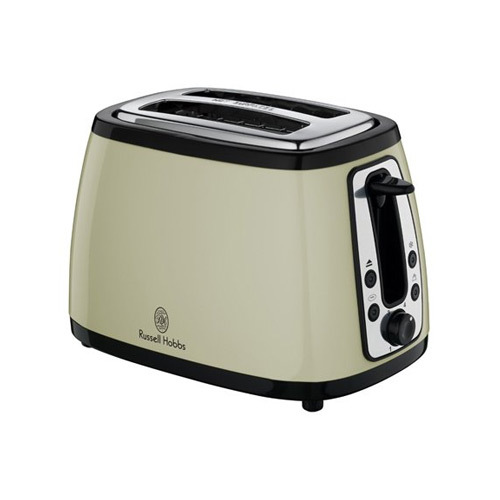 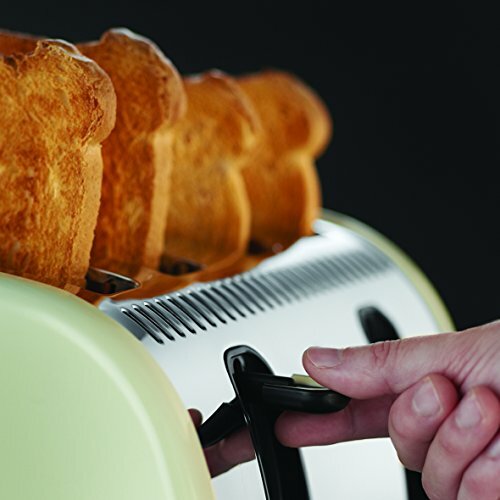 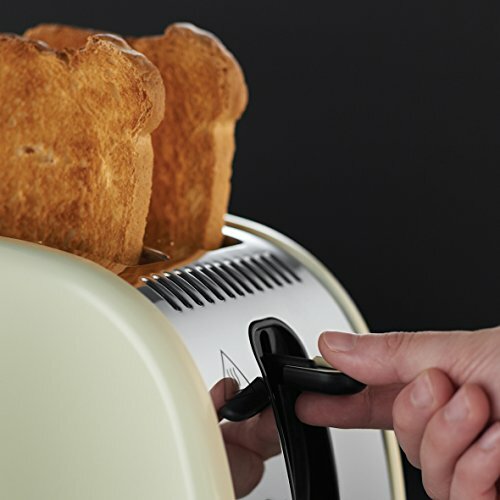 With features such as variable browning control as well as reheat and defrost functions you can toast your bread to perfection at the touch of a button. 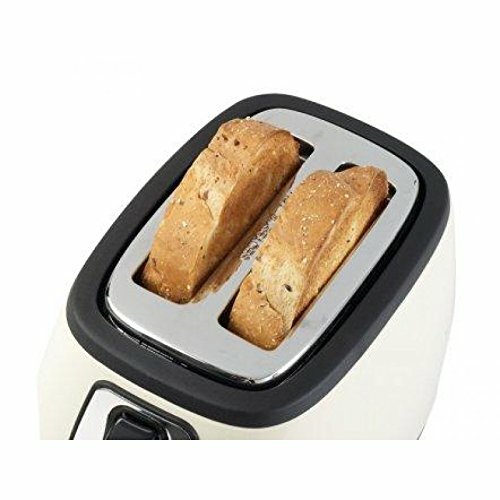 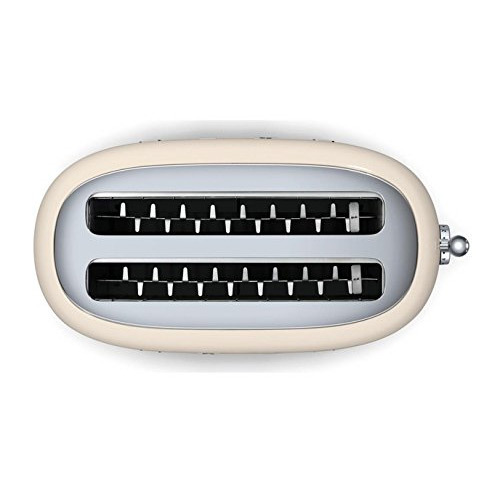 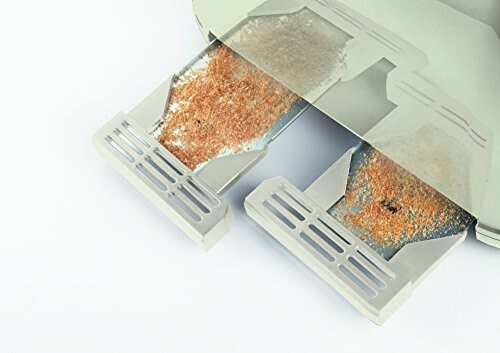 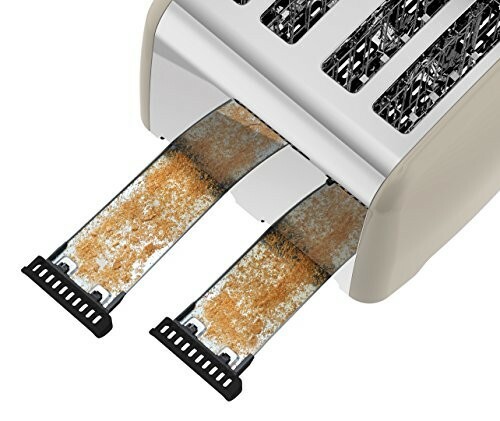 Many of the 4 slice toasters feature pairs of slots that work independently of each other allowing for a couple to each have two of pieces of toast each toasted exactly how they like them, ready at the same time so they can sit down at the breakfast table and enjoy their toast together. 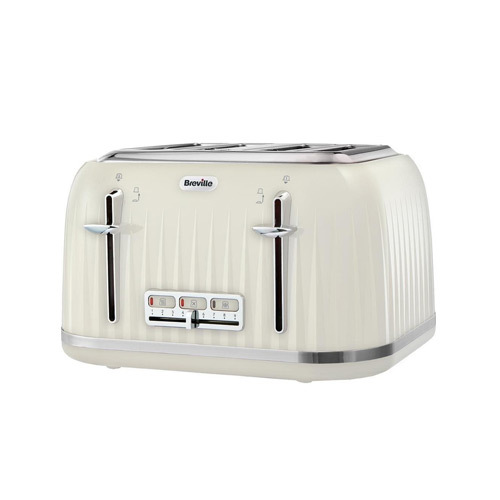 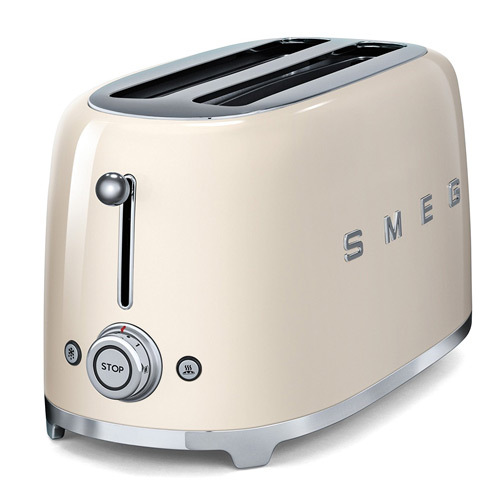 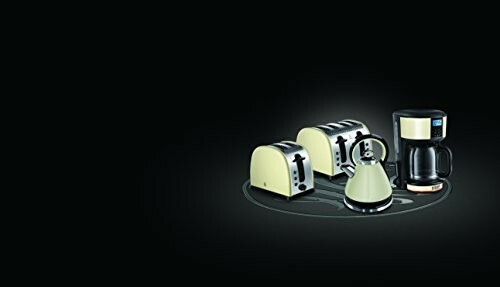 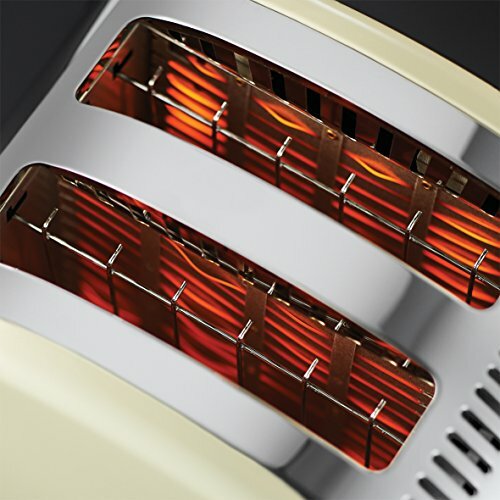 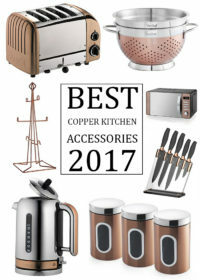 If you cannot find a cream coloured toaster you like the look of below you may like to take a look at our selection of white toasters, or perhaps our stainless steel and copper toaster section may have something that will fit your cream kitchen environment as equally well as a cream toaster would.